The 21st century version of the legendary Russian Soyuz rocket family, which carries cosmonauts into orbit, has the designation Soyuz-FG, where "FG" stands for "forsunochnaya golovka" -- Russian for the injector head. It was the main component which had gotten a makeover when the Soyuz-FG variant was introduced in 2001. Despite much more significant improvements in the works, the Soyuz-FG's working career then span over nearly two decades. 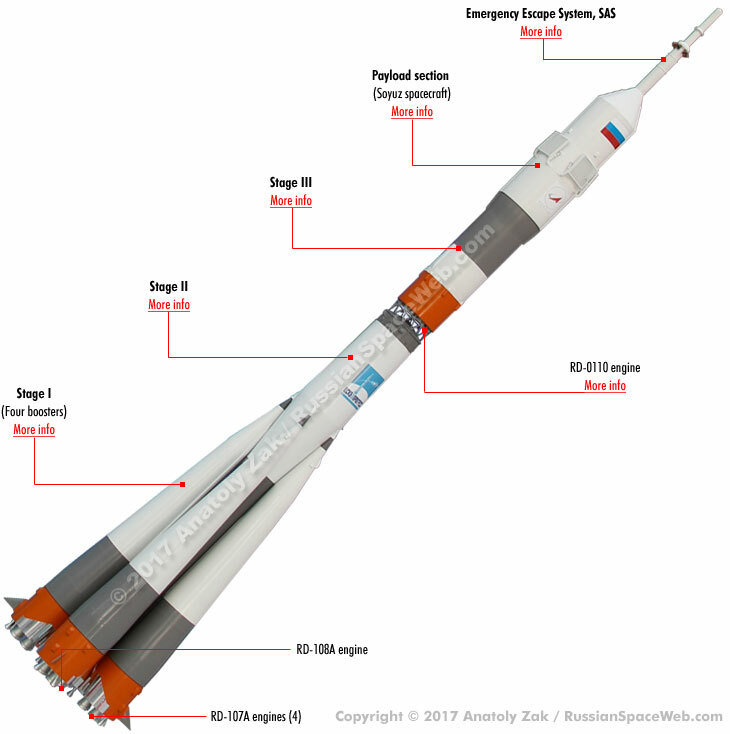 The Soyuz-FG represented the fifth round of gradual upgrades since the end of the 1950s in what is known today as the Soyuz rocket family. The focus of the FG program were the main engines on the four boosters of the first stage and on the core booster of the second stage. This relatively small upgrade increased the specific impulse of the engine by around five seconds or by 1.3 percent. As a result, Soyuz-FG could carry from 250 to 300 kilograms of extra payload to a 200-kilometer orbit when compared to that of the Soyuz-U variant. When launched with the manned Soyuz transport spacecraft (its main payload), Soyuz-FG could deliver up to 7,200 kilograms in the low Earth's orbit. 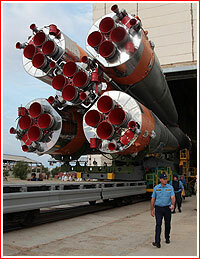 The Soyuz-FG could also carry the 7,400-kilogram Progress cargo ship. 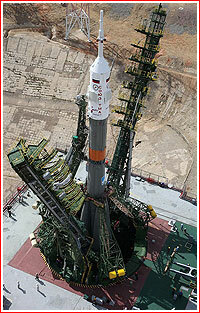 All other components of the Soyuz-FG were borrowed largely unchanged from the Soyuz-U variant, which also remained in operation. As its older siblings, the Soyuz-FG was equipped with a flight control system developed at the SKB Polisvit design bureau and serially produced at the Kommunar factory. Both organizations were based in the city of Khrakov, Ukraine. 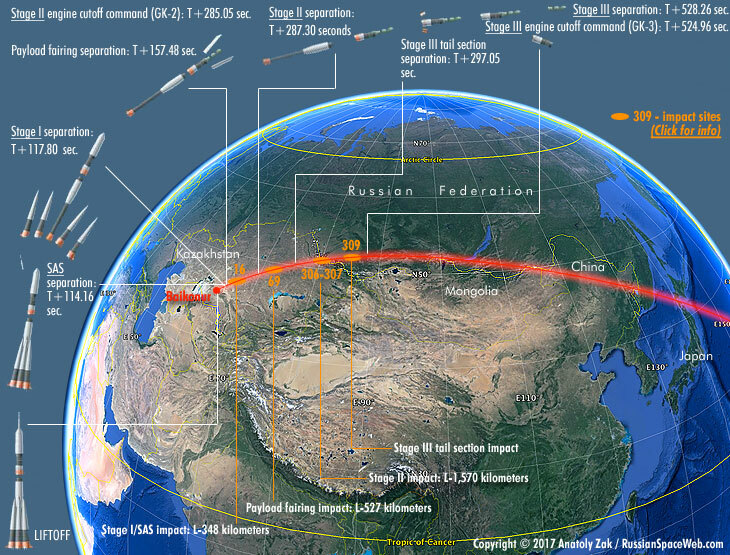 A typical launch sequence and a ground track for a Soyuz-FG launch with a Soyuz-MS spacecraft. According to a generic flight profile, the Soyuz-FG drops its four boosters of the first stage 118 seconds after liftoff, while the second stage continues firing until 287 seconds in flight. Depending on the mission, the third stage inserts its payload into an initial Earth's orbit from 520 to 540 seconds after launch. Like all previous launchers assigned to carry crews, the Soyuz-FG would have to be "man-rated" during test launches with unmanned satellites, before it could be entrusted with the life of cosmonauts. 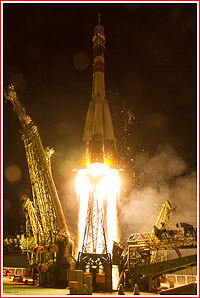 In the case of Soyuz-FG, its introduction was timed to precede the first mission of the Soyuz TMA spacecraft variant, which could take advantage of the launcher's extra cargo capacity. 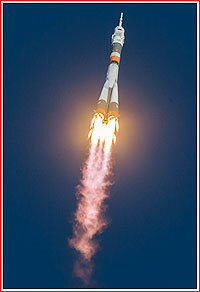 On May 21, 2001, the first Soyuz-FG successfully launched the Progress M1-6 cargo ship, followed by another flawless launch on Nov. 26 of the same year with Progress M1-7. 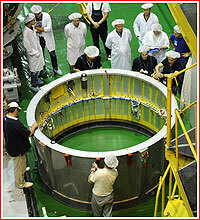 In October 2002, Soyuz-FG carried its first crew riding to orbit in the Soyuz TMA-1 spacecraft. The rocket has remained the sole carrier of manned vehicles ever since. By 2016, after 15 years in service, Soyuz-FG had made 48 launches with the manned Soyuz spacecraft and two missions with the Progress cargo ships within the ISS program and eight missions with commercial payloads. Ironically, the Soyuz-FG was initially seen only as a stop-gap variant on the road to the Soyuz-2 series, which would incorporate the newest features of the Soyuz-FG, in addition to much more radical upgrades, including a new-generation flight control system. However, the plans to switch human missions from the Soyuz-FG to the Soyuz-2, initiated as early as 2005, took years longer than planned. 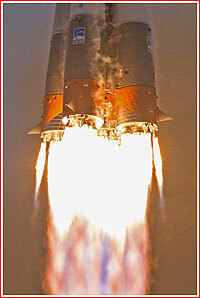 As of 2012, the production of Soyuz-U-PVB and Soyuz-FG variants was expected to cease by the beginning of 2016. In 2014, the conflict with Ukraine, which supplied flight control avionics for Soyuz-U and Soyuz-FG, made the switch even more urgent. With the two former Soviet republics at a virtual state of war, NASA had to ask the US State Department to plead with the Ukrainian government to supply necessary hardware for Soyuz-FG and Soyuz-U-PVB. To make matters worse, in April 2015, the second attempt to launch a Progress cargo ship on a Soyuz-2-1a rocket resulted in a dangerous accident, which could have doomed a crew had it been onboard. 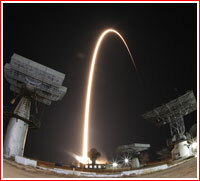 The Soyuz-2-1a test flight program resumed in December 2015, but the actual switch of human missions to Soyuz-2.1a was put off as far as 2019. According to NASA sources, soon after the Progress M-27M accident, top Roskosmos officials assured the head of the NASA Space Station Program Office Manager Michael T. Suffredini that they would not retire the old reliable Soyuz-FG for as long as the US space agency continues booking seats on the Soyuz spacecraft for its astronauts heading to the ISS. As of 2017, the most recent iteration of the NASA contract for Soyuz flights would end in 2019. 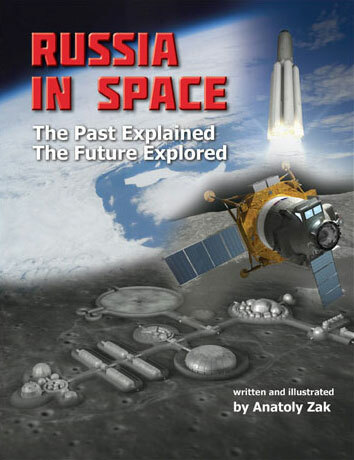 Not surprisingly, in March 2017, the official Russian press announced that human missions would be switched from Soyuz-FG to the Soyuz-2-1a rocket in 2019 or 2020. As of September 2017, the plan was to switch human missions to Soyuz by the beginning of 2019. On Aug. 11, 2017, RKK Energia submitted an integrated schedule to Roskosmos to use the two remaining Soyuz-FG rockets for the launches of the Progress MS-10 (No. 440) cargo ship on Oct. 11, 2018, and that of the Progress MS-11 (No. 441) scheduled for Feb. 6, 2019. 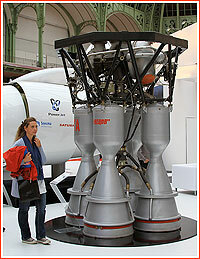 These rockets were originally manufactured for the launches of the Soyuz MS-12 (No. 742) spacecraft in March 2019 and Soyuz MS-13 (No. 743) in September 2019. On Aug. 30, 2017, Roskosmos gave a contract to RKTs Progress in Samara to conduct minor rework on the two Soyuz-FG rockets to adapt them for the Progress MS vehicles. As of September 2017, the two final Soyuz-FG rockets had been scheduled to fly in April and September 2020. However the Roskosmos leadership was pressing the industry to retire the FG variant as early as 2019 to cut costs and avoid problems with Russian security services, which put serious obstacles in obtaining avionics and associated technical assistance from Ukraine's Kommunar plant. As a result, at least one of previously planned launches of Soyuz-FG in 2020 could be performed in 2019, industry sources said. As of October 2018 (before the launch of Progress MS-10), a total of four Soyuz-FG rockets remained available and one was still undergoing assembly, industry sources said.